Внимание. If you have the three parameters (shopId, scid, shopPassword), your solution is connected by the old scheme that will soon be unsupported by the developers. You can ask your manager to upgrade you to the new scheme right now or wait until Yandex.Checkout "moves" everyone later. 1. Select Store — Settings — Payment systems in the website's dashboard. 2. 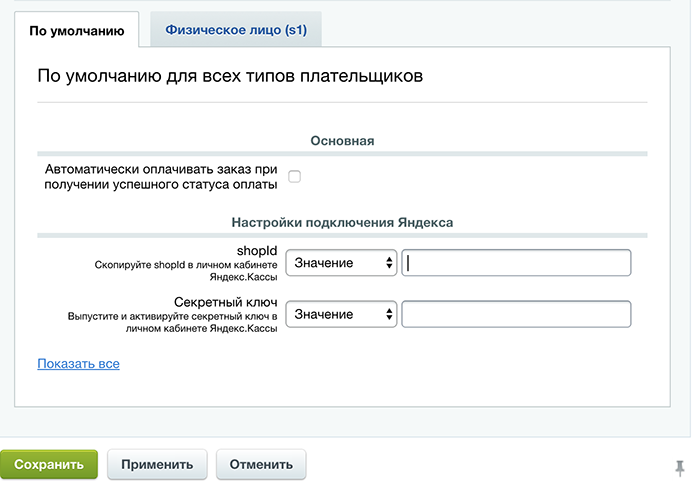 Click Add payment system. Further configuration depends on the set of parameters that you have. 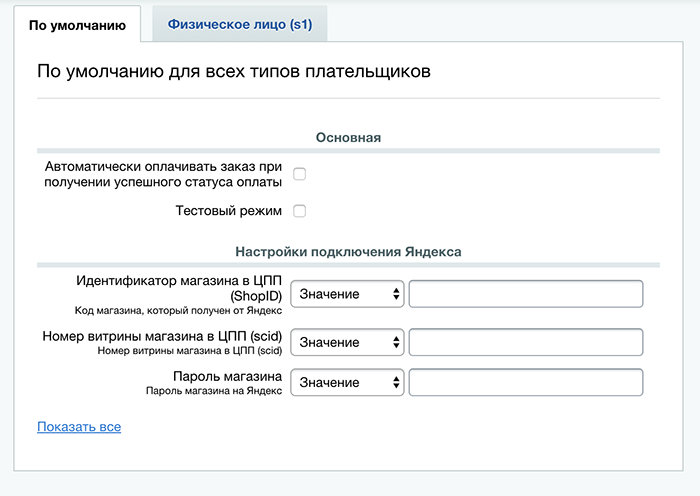 Set Smart payment, if you want the payment to be processed on the Yandex.checkout's side. Or choose any payment method from the list, in which case users will select the payment method in your store (as in the example below). You will need to add as many payment systems as there are payment methods that you have enabled—in other words, you will have to repeat the entire instruction several times. 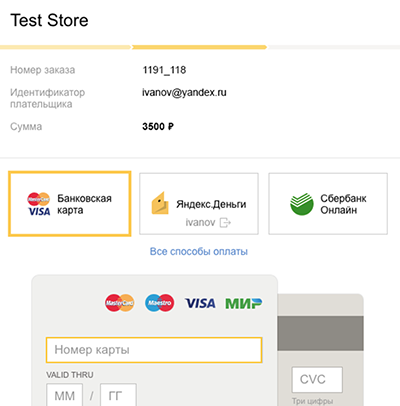 If you selected Smart payment, enter "Yandex.Checkout (cards, electronic money, online banking, cash, and other payment methods)"
Secret Key Specify theCode word parameter. 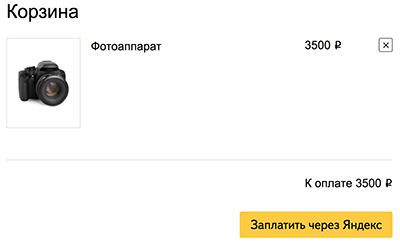 First, you need to issue and activate it in your Yandex.Checkout Merchant Profile. 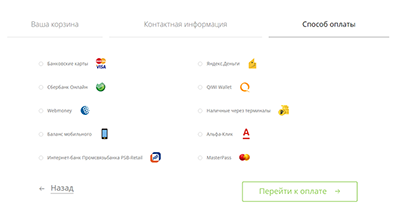 Or choose any payment method from the list, in which case users will select the payment method on your website (as in the screenshot below). You will need to add as many payment systems as there are payment methods that you have enabled—in other words, you will have to repeat the entire instruction several times. 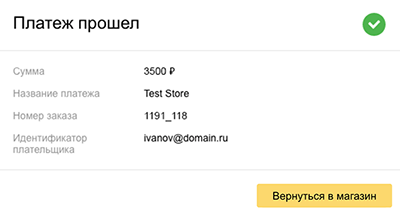 Test mode Check the box if the Yandex.Checkout managers have sent you the test parameters. If you've already checked payment acceptance or if you don't need the test mode, don't check the box. Внимание. Test shopId, scid and shopPassword differ from real ones. If you tested payments, don't forget to replace test parameters with the proper ones later. 3. Click Save. Configuration is complete.